Area residents have an opportunity to participate in a unique online survey designed to help researchers better understand the social values associated with Sarasota Bay and adjacent Gulf waters. Please visit sarasotabaysurvey.org to view and complete the online survey tool and digital map (enter passcode Manatee County when prompted). The online survey combines traditional questions with an interactive mapping exercise that provides an opportunity to reference specific areas. The Florida Sea Grant Study is being conducted by Zachary Cole, a PhD. candidate at the University of Florida. The purpose of the social values study is to better understand how people value Sarasota Bay resources in ways that may not be captured by traditional economic studies. A study of social values quantifies natural resources including personal experiences like watching the sunset, fishing, kayaking and many other activities. Social values complement the economic and ecological components of an ecosystem. They help to give a more complete picture of how people use and value natural resources. The social values study will also expand awareness about particular areas within the Sarasota Bay ecosystem that are popular for various reasons. For example, some areas are valued for great fishing or kayaking while other areas provide popular vistas for birding or general viewing. 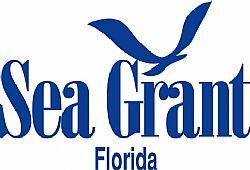 The Florida Sea Grant Study is being conducted by Zachary Cole, a PhD Candidate at the University of Florida's College of Health and Human Performance, Department of Tourism, Recreation & Sport Management.